Dr Clarke completed his orthopaedic surgery residency at Mayo Clinic, and a fellowship in Knee Surgery, with Dr John Insall, at the Insall Scott Kelly Institute in New York. Dr Clarke practices at the Mayo Clinic in Phoenix, USA where he specializes in knee replacement. He has lectured extensively about knee surgery, and has authored more than 100 articles and book chapters. Dr Clarke is the Deputy Editor for Hip & Knee for JAAOS and Associate Editor for Arthroplasty for The Knee. 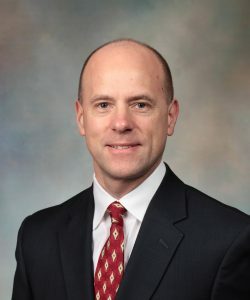 Dr Clarke also serves as the Chair of Continuing Medical Education for the American Association of Orthopedic Surgeons; Chair of the International Committee for ICJR; and Board Member at Large for The Knee Society.